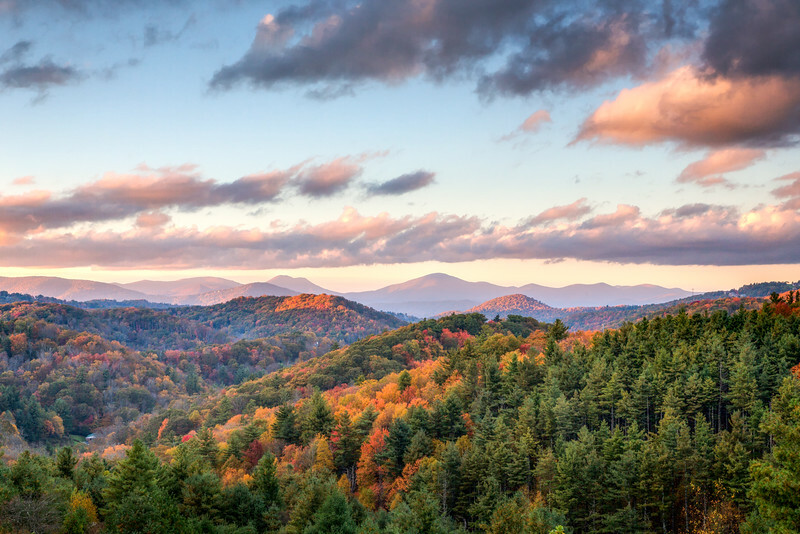 This is an Autumn view from Thunder Hill Overlook, elevation 3795’, milepost 290.4, Blue Ridge Parkway, North Carolina. The sun was setting to my left, but not visible from my vantage point. However, it cast beautiful warm light on the scene in front of me.